Jay-Z is Named GQ's "Man of the Year"
Jay-Z will appear on the cover of the December 2011 issue of GQ ‘Man of the Year’. Jay-Z held the title back in 2006 when he released his comeback album Kingdom Come. The rap mogul shares the magazine’s annual honor with three men, Justin Timberlake, Jimmy Fallon, and Michael Fassbender, and one woman, Mila Kunis. The 28-year-old actress is named the year’s ‘Knockout’ star by GQ. In the GQ interview, Jay-Z opens up about his pending fatherhood, losing his own father and his platinum-selling collaborative album with Kanye West, Watch the Throne. 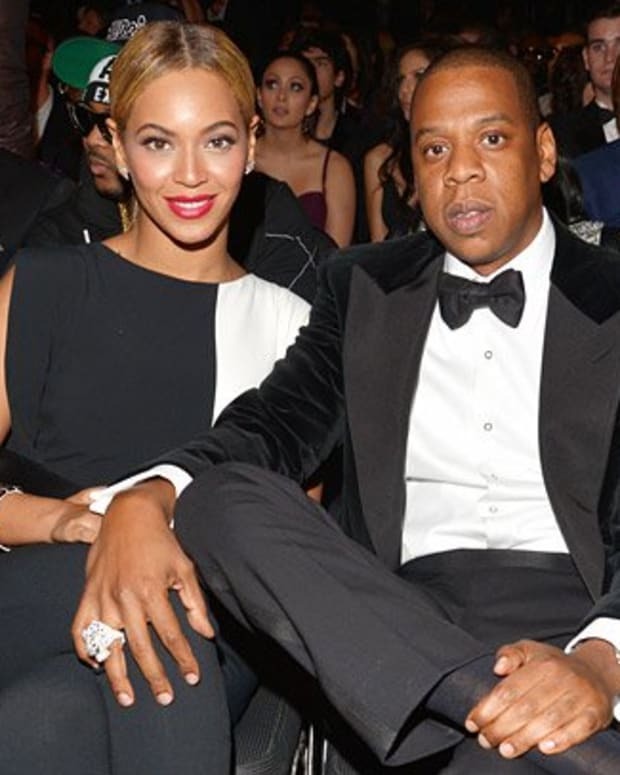 Jay-Z Alludes To Beyonce Cheating In New Song?